NEWFOUNDLAND, Pa. -- A Pennsylvania school district will cancel classes at an elementary school on Wednesday because a church down the street is hosting a ceremony featuring AR-15 rifles. World Peace and Unification Sanctuary in Newfoundland believes the AR-15 symbolizes the "rod of iron" in the biblical book of Revelation, and it is encouraging couples to bring the weapons to a commitment ceremony. The ceremony, to be held about a half-mile from Wallenpaupack South Elementary School, is expected to draw hundreds of couples, who are invited to bring their semi-automatic rifles to "show their willingness to defend their families, communities and nation," CBS Philadelphia reports. On Friday, the superintendent of the Wallenpaupack Area School District wrote in a letter to parents that while "there is no direct threat to our school or community," given concerns about parking, traffic and the "nature of the event," students will be bused to schools about 15 miles away. "We respect your decision if you choose to keep your children home for the day," he wrote. The church -- a breakaway faction of the Unification Church -- has said it planned Wednesday's event months ago, well before the Feb. 14 massacre at a Florida high school. Authorities say the shooting suspect, Nikolas Cruz, used an AR-15 in the attack that killed 17 people. Church officials say that weapons will be unloaded, secured with zip ties and checked at the door. The Unification Sanctuary's leader, Rev. Sean Moon, is the son of Rev. Sun Myung Moonwho was a self-proclaimed messiah who founded the Unification Church. 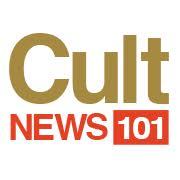 The Unification Church, which is often described as a cult, has distanced itself from Wednesday's event, saying its ceremonies and theology do not involve weapons. "It saddens us that Reverend Moon's son has chosen to separate himself and walk in opposition to his parent's legacy building world peace," Rev. Richard Buessing, president of Family Federation, another name for the Unification Church, said in a statement.